Baseball is a game of numbers. Home runs. Strikeouts. Runs. Wins. Losses. Sabermetrics. Lots and lots of numbers. Baseball is a game of connecting yesterday with today. Ruth. Aaron. Bryant (?) Mathewson. Koufax. Kershaw. Baseball is a game of collectibles. 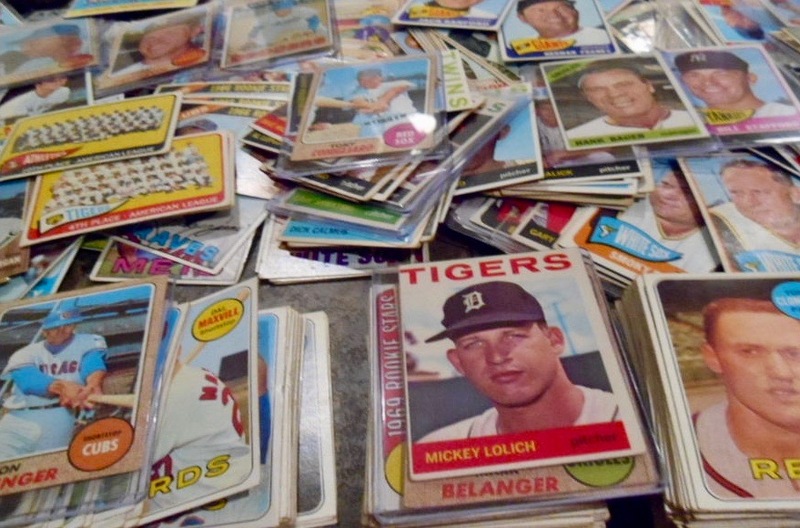 Oh sure, it is a game of LOTS of other great things, too, but no other national past time has ever generated the variety and volume of collectibles that baseball has produced. Baseball cards, autographed baseballs and autographed pictures. It has been the stimulus behind pennants, yearbooks, programs, scorecards, bobble heads, table top games, game used items, and more. And it is still inspiring new items! Baseballia is a celebration of these collectibles in their various forms. We are all about collectible baseball Americana (and some from other places, too). Perhaps the interest of the moment is in the latest, greatest, rookie card. We love it. Or maybe the tastes swing the some of the great, vintage cards of days gone by. We also appreciate those collectors and collections that are just seeking that final insert, maybe an autographed card, to finish a set. Yes, all these fans and more belong at Baseballia. If it has to do with materials characteristic of baseball or the culture of baseball, we are interested. Plus, we think you are are interested in baseball memorabilia and collectibles, too (isn’t that why you are here?). Baseball is a game that you can soak up over an afternoon or throughout a lifetime. So, whether you have a little or a lot of time to spend here, we hope you will check out our posts about the stuff that makes up Baseballia. Enjoy our original pictures. Check out some of the links we provide. Visit our shops on eBay, Facebook, COMC or Collectors Corner. Chances are you will find something about baseball you like. And come see us again, we are always adding to Baseballia.